LAUNCHED IN April 2018, Tracklib is the world's first and only music service that enables music creators to discover, sample, and license original recordings. It solves a problem that has been plaguing producers, DJs, and artists since the rise of sampling in hip-hop and dance music over 30 years ago - how to license and pay for usages in an easy and straightforward manner. Tracklib features a library of over 60,000+ tracks that users can browse, download, and license for samples with the click of a button. Tracklib was founded in 2014 to liberate sampling by creating a music service that makes it possible for music creators to sample original recordings without looking over their shoulders. Tracklib’s Creators Advisory Board includes top producers Erick Sermon, Prince Paul, and Drumma Boy. How do you think the music industry has changed for artists/producers in the last 10 years? In many ways it’s changed for the better – there are more options than ever before when it comes to both making music and getting it out, as well as managing and monetizing copyrights. Ten years ago the industry was still reeling from the drastic reduction in revenues caused by, among other things, the shift from analog to digital, but in the recent years we’ve all seen how digital revenues have helped get the industry back on track. Going forward, artists and producers will benefit even more from the increased transparency and decentralization that technology drives. Today it’s very easy to get music onto a listening platform, but getting people to listen to the music is a whole other story – especially as there is more music created today than ever before. I think we’ll see lots of innovation in how fans and music creators can connect, and how independent artists and producers can get their music into formative playlists. When it comes to the creative side, technology has lowered the bar for actual music production. Modern digital audio workstations are amazing in both simplicity and power, and it’s really possible to have a complete studio in a pocket. Music making tools will continue to develop further – allowing music creators to focus on making music, not on how it’s made. What does it mean to sample and what constitutes a sample? Sampling is the art of taking a portion – a “sample” – of recorded music and reusing it in a new song. A sample is a component in a new song – a building block. Short history: In the 1940s, The Chamberlin – an electro-mechanical keyboard instrument – was developed. It is arguably the first instrument that enabled sampling – a precursor to the first sampling synthesizer Computer Music Melodian which was introduced in 1976. In between, creative producers mainly used tape loops and – famously – vinyl loops as popularized by the hip hop movement in the late 70’s and early 80’s. It’s worth mentioning remixes as some people confuse sampling and remixing – a remix is essentially an alternate version of a recorded song. Think of a remix as a cover using most of the original recording too, a modified version of the original song. In contrast, a sample is only a portion of a recorded song used as one of many pieces that together make up a new song. Why do you think sampling has been such a conflicting idea in the music industry? The main challenge has been the complexity of music rights. A song has two copyrights: master rights (the recording) and publishing rights (the composition). So to clear a sample, all rights have to be obtained. This is a costly, complicated and time-consuming process. Rights holders (labels and publishers) have, to some extent, to protect the value of music copyrights, acted more as gatekeepers than access enablers – sampling has never been simplified, automated, and made affordable and accessible. When ambulance chasing lawyers started going after samples in the 1990s, producers increasingly became reluctant to sample because of the potential legal complexities. This meant that the practice of sampling reduced in popularity, and was – until Tracklib – mainly reserved to those who had access to knowledge about music rights and the budget required to manually clear samples. Sample clearance is a process that involves lots of time and effort, clearance agents, lawyers and many thousands of dollars – without a guarantee that a sample will even be properly cleared in the end. This is why the majority of sampling today is pirate sampling where people simply sample, don’t clear the rights and hope for the best. This is what Tracklib changes, on a massive global scale. What do new and upcoming artists need to know about how licensing works for samples? If you sample, you need to make sure that all rights – both master rights and publishing rights – are cleared. This means that every label and publisher, and often their respective artists and songwriters, have to approve of the sample. If you sample and don’t clear the rights, you run a big risk of being discovered and losing a large part of or all your rights to any revenues from the new song you have created. To get paid in full, you have to be cleared in full. Why do you believe so many songwriters have not gotten clearance for their samples? Manual sample clearance is slow, complicated and costly. Most music creators don’t have the patience, knowledge or budget to properly clear samples. And the world’s rights holders seldom bother with manual sample clearance for smaller projects, they’re mainly focused on the large releases. Why is it so important for songwriters to own the rights to their songs? If you own publishing copyright, you will take part in revenues generated from radio and live performance, but also from the mechanical part of physical sales and much more. In short: if you own copyright, you will get paid. How does music publishing play a part in songs with samples? Music publishers are focused on managing, monetizing and optimizing the value of publishing copyrights. They have a very large role to play – both as sample exporters (getting the compositions they manage into new songs), and sample importers (publishing songs that contain samples). 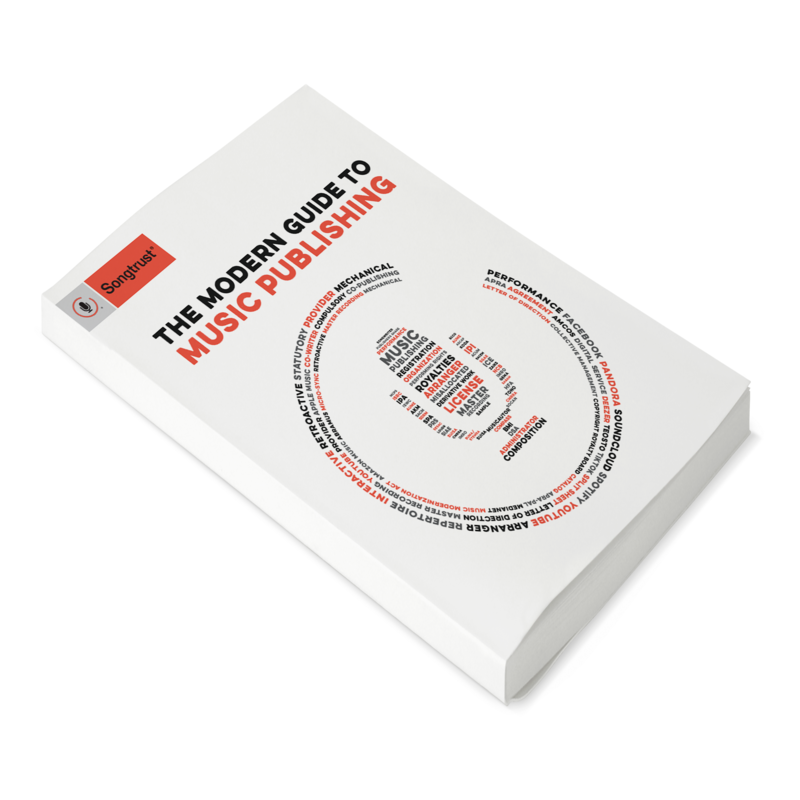 In the Tracklib model, we make sure that original publishers and songwriters benefit from sampling by taking part in the new publishing copyright – the new composition. We also educate our customers about the importance of song registration with the world’s performing rights organizations (BMI, ASCAP, PRS etc). Through our partnership with Songtrust, we are able to add ultimate simplicity to both song registration and the management of publishing copyrights as well as revenue collection. What new technology has surfaced in the past few years to help artists utilize sampling better and more efficiently? On the software front, there are great VST plugins such as Serato Sample which is one of the easiest and most fun tools to work with samples. On the hardware front, there is a plethora of great controllers that make it possible to use a sample as a new instrument – some great examples are Maschine (which is a combined software/hardware product) from Native Instruments, Analog Rytm from Elektron, Teenage Engineering’s PO-33 K.O! and OP-1… the list is long! On the service side, Tracklib has a big catalog of original recordings that music creators can instantly sample and license – liberating sampling and making it accessible to anyone in the world. If music is something you want to make your living from – fully or partially – it’s very important to understand how music is distributed and monetized, what copyrights are and how you register and manage them, and overall how the industry works. The benefit of knowledge in these areas is that it together provides freedom of choice and freedom of creation – you know what the landscape is, and can decide your role in it. Traditionally music creators have been at the mercy of people who know how things work. The opportunity to take charge of your creative (and commercial) destiny is today available to anyone interested in learning. I don’t think there’s a general definition that can be applied to every artist, songwriter and producer out there. It’s a really personal thing – to some people success means that they can make a living from making music, to some that they can get their music to listeners in another country, and to some that they can take their music from the studio to the stage. Some want to fill arenas, some just want the freedom to create. Whatever the desire, there are more tools and options available than at any point before in the history of music. More transparency, more decentralization, and more data sharing between different stakeholders in the industry. We need to enable better systems, better metadata, and better collaboration. All these efforts combined will not only unlock many billions of fresh revenue, but it will also provide more opportunities to both established giants and independent newcomers alike. Our vision is very simple: we want to give everyone, everywhere access to the buildings blocks of music – real original recordings – so that more great music can be made. We’re doing this to empower music creators, and to power the evolution of music. Our job is to liberate as many tracks as possible and make sure that the world’s music creators get access to them. One of many exciting things on our horizon is that we’re getting closer to music production software to make it as simple and quick as possible to access our catalog of amazing original recordings.